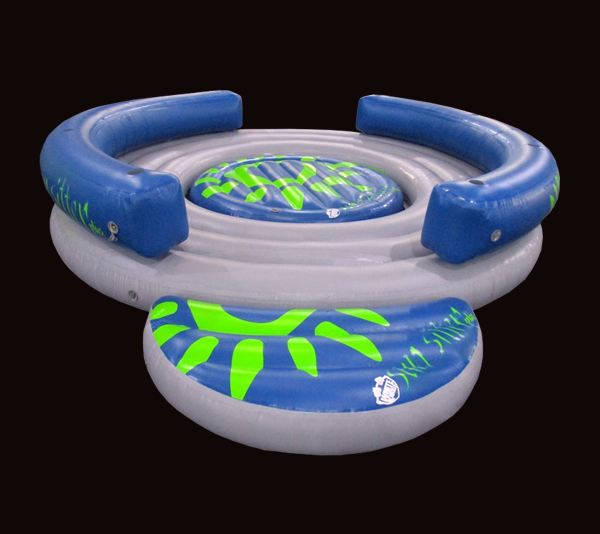 The Sun Sitter is your “bullet-proof” high end floating raft/party island. It can easily hold 6-8 adults without even noticing you’re on an inflatable. The stability and comfort is like nothing on the market. Wood will rot out long before a Sun Sitter wears out. The 22oz/1000D heavy duty PVC will provide years of enjoyment for the whole family and all your friends and neighbors. If the kids want to join, remove the center section and let them having their own party.